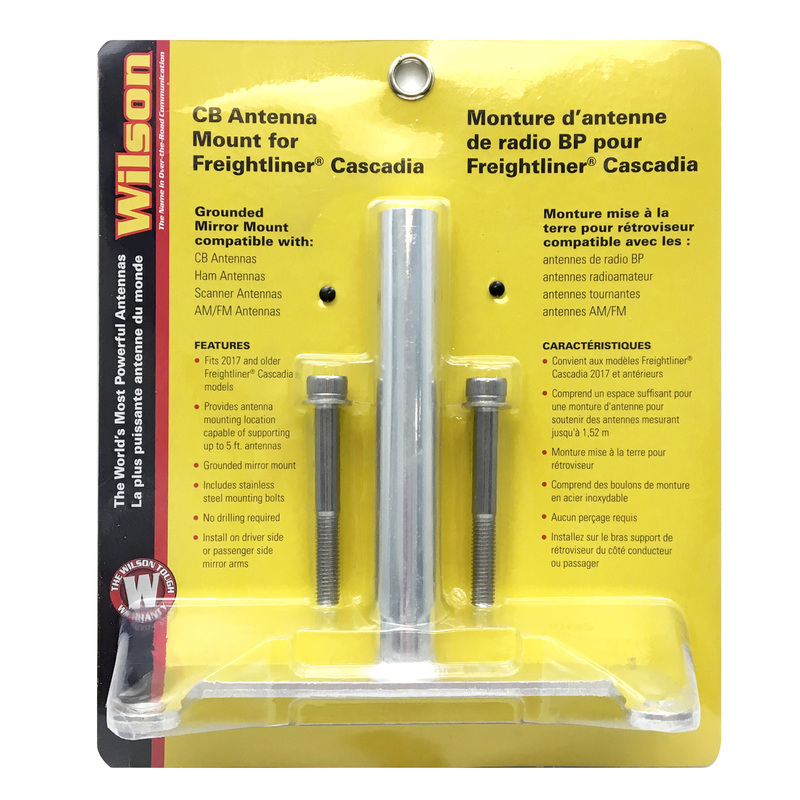 This mirror mount is specifically designed to mount antennas up to 5 feet tall on 2017 and older Freightliner Cascadia trucks. Installs quickly on driver or passenger side mirror arms without drilling holes. Includes stainless steel mounting bolts. *Note: A standard antenna mounting bracket is also required.